Hello ... Hello ... my old friends ... It's great to see you once again! Jeff Lynne will be contributing his own version of Paul McCartney's song "Junk" to a new album of covers by an array of well known artistes to be released later this year featuring many of The Beatles, Wings and solo McCartney classic songs. "Junk" was written by McCartney in 1968 and featured on his first solo album "McCartney" in 1970 alongside an instrumental version, entitled "Singalong Junk". With an original song length of just 1:54, the ELO maestro's interpretation is unlikely to be significantly longer yet much anticipated by his fan base. "The Art Of McCartney: The Songs of Paul McCartney sung by the World's Greatest Artists" is due for release on Monday 17th November and will feature efforts by fellow Wilbury Bob Dylan ["Maybe I'm Amazed"], Brian Wilson ["Wanderlust"], Robin Zander and Rick Nielsen of Cheap Trick ["Jet"] as well as The Cure featuring James McCartney ["Hello Goodbye"] amongst many others. The album features thirty six  songs on two  CD's plus a DVD on the making of the album with the Amazon Deluxe Exclusive edition sporting two  bonus tracks. 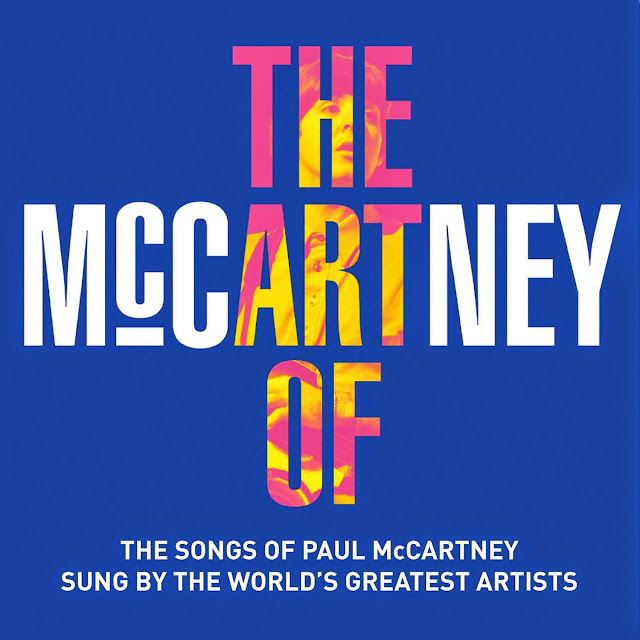 "The Art Of McCartney" is currently available for pre-order from amazon.co.uk and other vendors. ELO Beatles Forever [ELOBF] recommends "The Art Of McCartney: The Songs of Paul McCartney sung by the World's Greatest Artists" to those enlightened folks who enjoy the music of ELO, Jeff Lynne, Roy Wood, The Move, The Idle Race, 'Brum Beat', The Beatles and related artistes.